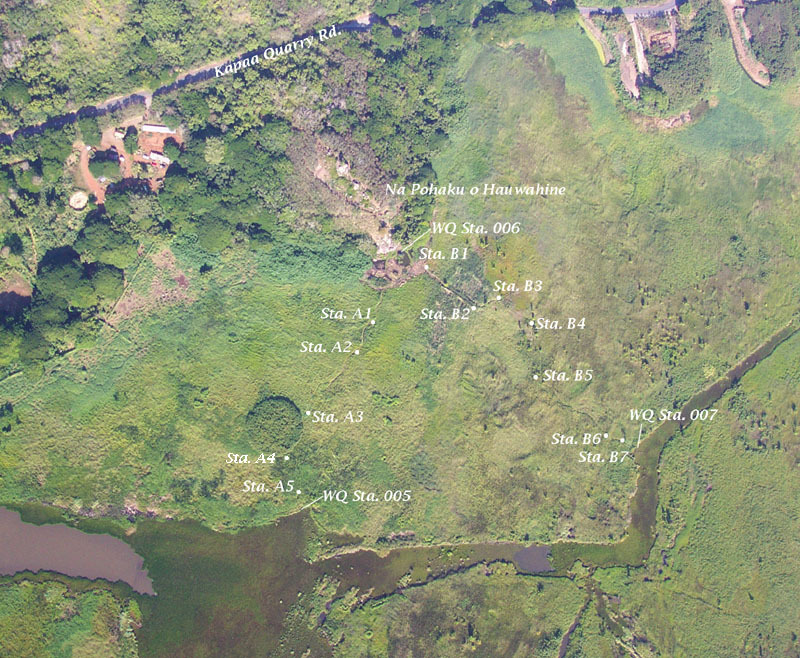 Water and sediment sampling stations located near Na Pohaku o Hauwahine are shown below on an aerial photograph of the region along the west side of Kawai Nui Marsh. Stations A1 through B7 are 4-inch PVC pipe penetrators set down through the peat/vegetation mat. Water quality (WQ) stations 005, 006, and 007 are located on "open" bodies of water.